Hello friends! 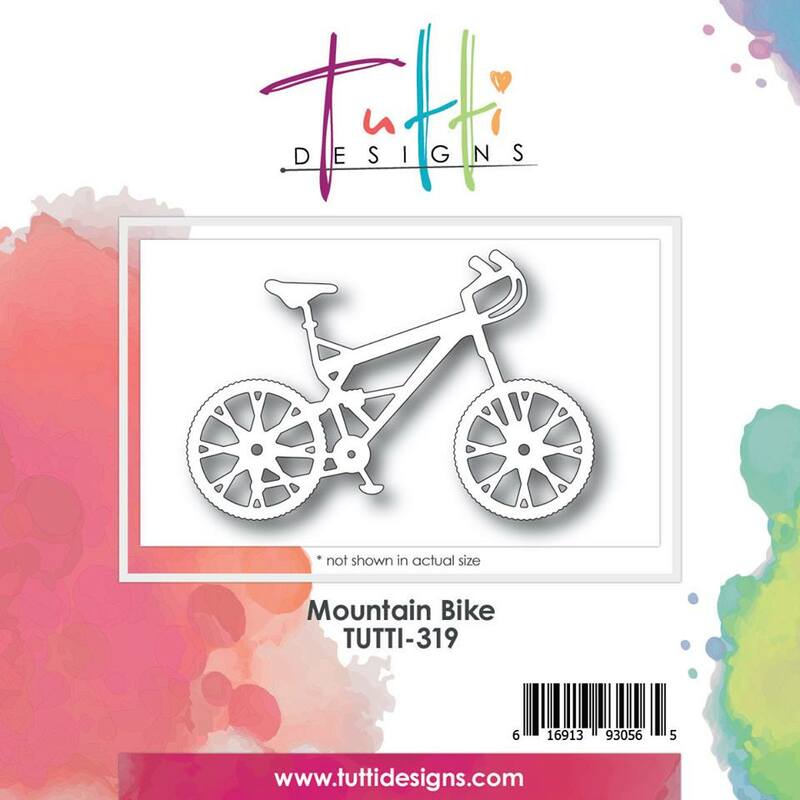 Autumn with you today to share a card idea for the guys in your life featuring our Mountain Bike die. I whipped up a mix up of modern patterned papers and layered our Mountain Bike die in white and black for contrast. I added a brad and mini banner for detail. I thought this sentiment was a fun way to finish off the design. My doodling gives it a frame. I added some torn washi tape to create a sort of mountain for the design. This was really fun to make! I hope you're inspired to show the boys in your life a little cardmaking love today. Thanks for visiting! Purchase your Mountain Bike die HERE today! This is awesome Autumn and I love how you 'shadowed' the bike! Fabulous design ... well done! Thanks for inspiration! Super masculine card, Autumn. The silhouette affect with the white and black look great. Love that mountain bike die cut! Great masculine card with so many cool details! I love how you've layered up the bike to really make it pop amid all the graphic papers! Of course, I love that sentiment! A beautiful spring card with a fluffy lamb. With Sympathy a Floral Cross. The Right Pair of Shoes! An Announcement & A Fall Card . . .